All Seasons Weddings ARE YOU A VENDOR? 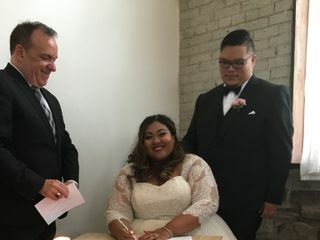 Located in Toronto, Ontario, All Seasons Weddings is a company that specializes in professional wedding officiant services. 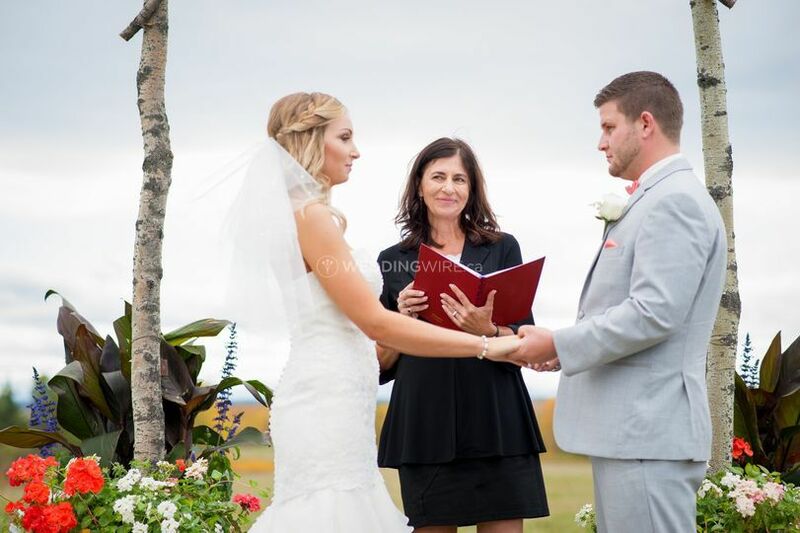 Their officiants will ensure that your ceremony reflects both you and your partner's style and values and they offer you editorial control over the ceremony. All Seasons proudly supports the LGBTQ community. 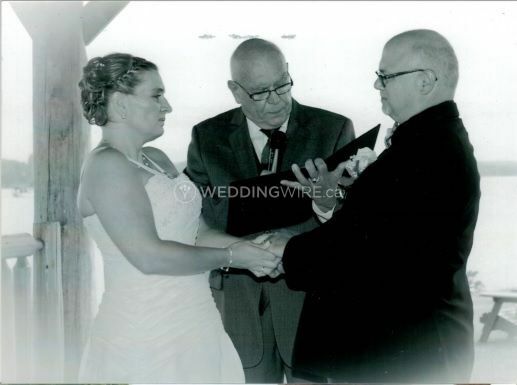 Voted Canada’s Best Officiant Service three years in a row and with more than 20 years of experience, Wedding Ceremonies by All Seasons have a professional team of experienced wedding officiants conducting wedding ceremonies throughout Ontario, Quebec, Alberta, Nova Scotia and BC. 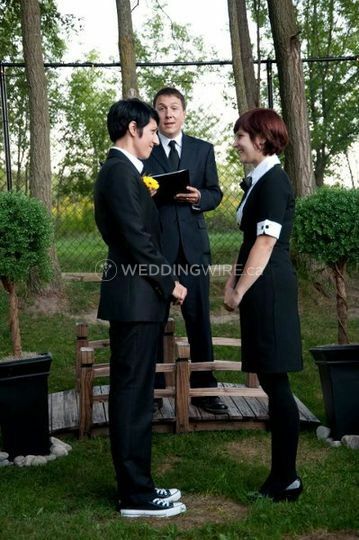 You can keep it as simple or as elaborate as you want and their officiant will help guide you every step of the way. 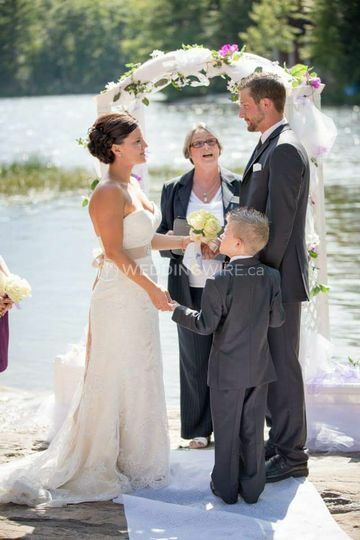 Write your own vows and involve children, family members or friends in your ceremony. 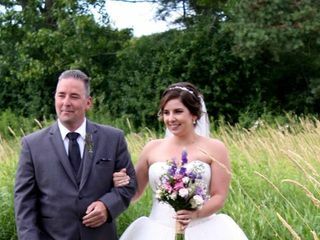 We recently had our wedding at Royal Ashburn in North Whitby, ON. 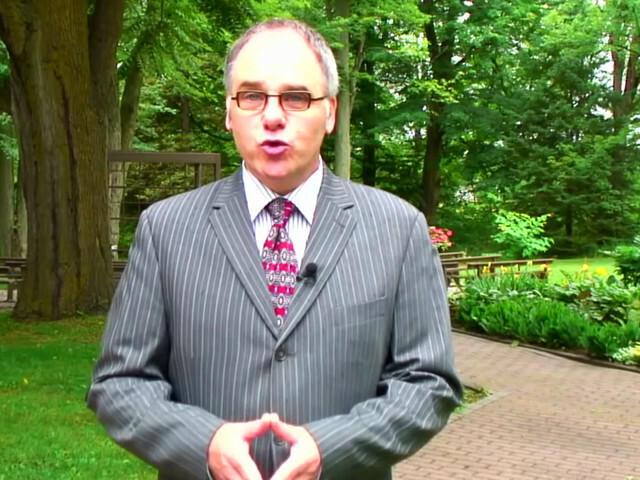 Our Officiant, Steven Crawford from All Seasons Weddings was amazing! He was quick to respond, professional, and had a consultation with us a month prior to the wedding. At the consultation Steven had a ceremony planned and added some personal touches! 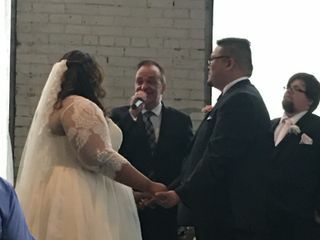 The day of the wedding was beautlful, Steven delivered a beautiful ceremony and made both the groom and bride feel comfortable! 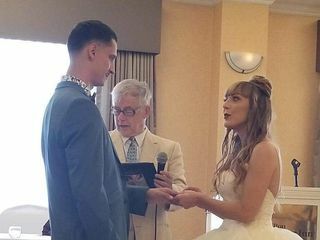 Recommend this officiant! We received many positive comments! 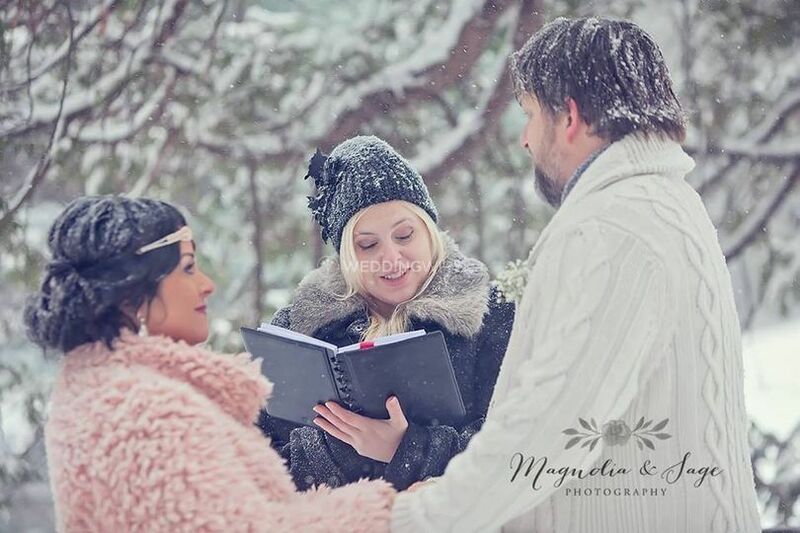 Booking through All Seasons made the process of eloping extremely easy - it was difficult at first as we hadn’t booked a venue and I was stressed that no one would be available but All Seasons couldn’t really confirm because it depends who will be available nearby. But once we booked we really lucked out with Wendy. She was very responsive to our queries and put our minds at rest through the whole process including going out of her way to help us out (her husband even offered to help us out and be a witness if we couldn’t find one). She was also incredibly patient whilst we took photos and was perfect in delivering our simple ceremony. 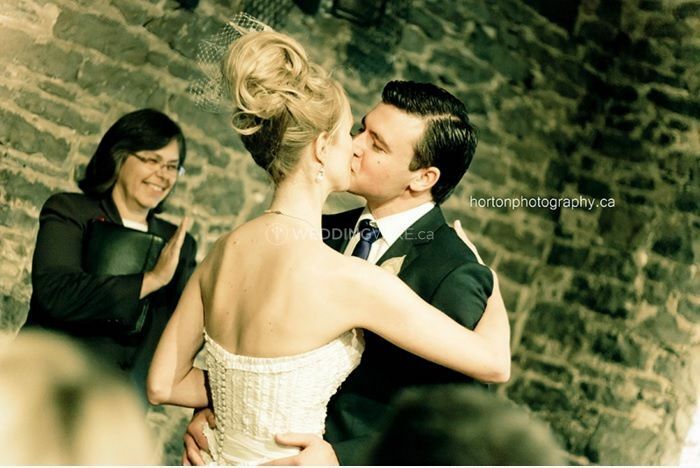 My wife and I recently got married up in Mont-Tremblant, Quebec, with AllSeasonsWeddings' officiant Diane. She was wonderful. 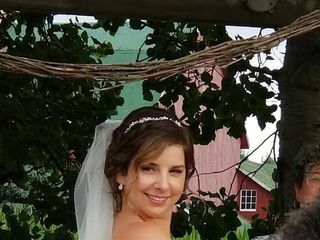 Kind, warm, thoughtful, extremely flexible about the location (several hours of driving for her) and helpful in crafting the ceremony itself and dealing with all the Quebec-specific legal requirements of getting married. 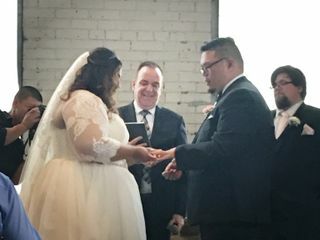 Although we'd only met her once prior to the wedding, at the ceremony it felt like we'd known her for years, and many of our guests commented about what a great job she did and how she made them all feel comfortable and welcome. On top of her warm demeanor, Diane has a creative soul, and regularly encouraged us to make our ceremony unique and our own (although she did have templates available if we wanted that). The end result was beautiful. My wife Bella and I got married in September here in London. We decided to contact Mary Collinson from the area to be our officiant. Mary was amazing and right from the time we first contacted her she was more than helpful. She is so easy going and organized and responsive which made all the planning and the ceremony go smoothly. 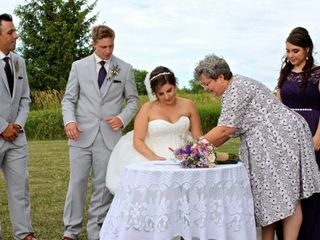 Mary was a huge part in making our big day as amazing as it was! Many of the guests said after the ceremony and for many days after the wedding what a lovely job Mary did! Thanks Mary!